Best Types of Content Marketing Strategies For Your Business - SalesChat.co : Live Chat Operators for Business Sales And Support. Get that confidence you always wanted with your marketing perspective! These strategies help you stand up. Sit back and enjoy the perks! Before talking about types of content marketing strategies, you should have a clear idea about it. According to the Content Marketing Institute, “Content marketing is a marketing technique of creating and distributing valuable, relevant and consistent content to attract and acquire a clearly defined audience – with the objective of driving profitable customer action”. The demand for the valuable content is increasing. According to research on content marketing survey report, 75% of B2B buyers look for the worthy articles for research when they’re looking to make a buying decision. Enhance the visibility of your brand. Helps you to build credibility and authority. Improve lead generation by generating traffic to your website. Assists your client to make purchase decision quickly. Opens a communication channel through social shares and comments. Provides value with no strings attached. Many types of content marketing are now used by large corporations such as Microsoft, P&J, Cisco and many more. Regardless of what types of content marketing you choose for your organization, content marketing should be the part of your business process. The ultimate goal of all types of content marketing is to engage your clients that help them to buy. Due to this, you have to focus on the central objectives that can attract the leads. Inform: Inform your clients and visitors about the latest products, promotions and discount through social media and interesting blogs. Educate: Educate your audience regarding your services. Give them brief regular contents that can solve their queries and draw their attention towards your business. Inspire: Inspire your audience with your achievements and share the stories of successful people. It’s often an overlooked goal in the types of content marketing strategies but can bring loyal consumers into your sales circle. The question is, how to build high-quality content when you are working with different types of marketing. The answer is simple, just follow the steps and establish a great article. Study a good content using multiple tools like Buzzsumo. It gives you the idea of what popular. Perform research on your chosen topic, include your suitable ideas with authentic information. Create content of a subtopic. Do experimentation to see if it resonate with your audience. Complement your written content with other media like pictures, videos, infographics, charts and memes. According to research, 80% of readers read your headlines while 20% of those read rest of it. In the types of content marketing, a positive headline that say a lot in only a few words attracts the audience. The good practice is that made a few headlines with strong keywords and chooses one of the best. Your SEO friendly content is vital because it affects your website’s placement on search engines. You should use some tips and tricks to write strong SEO content in the types of content marketing. Use eye-catching headlines and sub-headers. Add links of reputable websites to increase the validity of your site. Optimize the length of your article. Upgrade your images by adding keywords in these. Make the content shareable to add social media button to your site. A marketing software solution that aids you to plan, create and distribute relevant and consistent content referred to content marketing platforms like CoSchedule, Oracle Marketing Cloud, Percolate, DivvyHQ, Kapost, Newscred. Including CMP in types of content marketing strategies can increase productivity and organize content by stage in creation, funnel stage and content type. Secondly, you can track content production and manage your editorial calendar. Thirdly, it gives you the detailed analytics about strategy, ROI and can generate new ideas. Research has shown that organizations experience a 55% boost in leads when rising their number of landing pages from 10-15 for all types of content marketing strategies. Creating this ratio with an optimized keyword for each page, you can have more conversion and targeted opportunities. You can generate high-quality landing pages by using templates available at Unbounce, Instapage and on other platforms. Link building is the process of getting links from other websites. Presently, types of content marketing play a key role in this method. Publishing your content on the authentic website is more significant than distributing it on a lot of sites. If reliable sources send backlinks to you, your site will be regarded as more trustworthy as Google focuses on quality over quantity. Keeping this in mind, here are some ways to make the best of link building strategies that you can use in types of content marketing strategies. Get your articles in front of the right audience by distributing these through the authoritative channels. A/B test is the best way to find out the weak and strong aspects of the types of content marketing strategies. In the split test, you just test the two variables against each other that can give you a quick insight about your articles. A/B test can help not only to leverage lots of small gains but also optimize each element of your content marketing funnel. You can start testing your visual elements, emails, headlines and headers. For testing your data, you don’t need to have a large team. Just follow some steps to get the results. Start with analytical tools like Google analytics and Buffer analytics for types of content marketing. Making sure that these are properly embedded into your content strategy and show clear results. Make two copies of your articles and check which headings or visual effects are grabbing the most attention. Whether you are using WordPress. SquareSpace or any other tool for online contents, utilize some digital tools that can make your split testing easier. Integrate your tools for continued experimentation by using Optimizely, Google Optimize, Unbounce and AB Tasty. To stand out in the crowd, it’s important to take a comprehensive approach that combines multiple tactics in a variety of ways in your active types of content marketing. You can use tricks to promote your articles on your website, social media and establishing marketing plans. 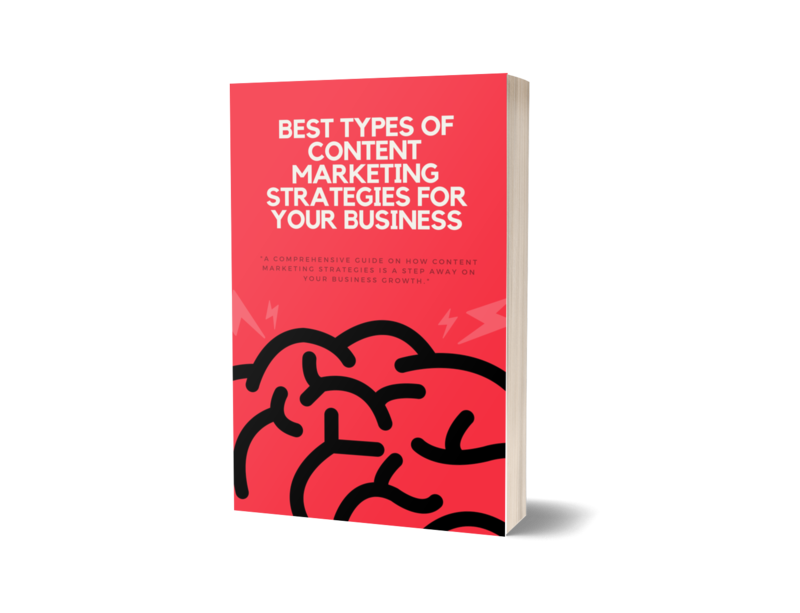 Here are some useful tips that can support not only your marketing strategy but also all types of content marketing campaigns. Develop a content calendar for your target audience. Promote your content through email. Include call-to-actions on your website. Build content that can solve the concerns of visitors. Involve influencers and welcome them for content creation. Get active with guests’ posts. Promote your articles socially using Buffer, Sprout Social, Hootsuite or any other program that lets you preload your social content. Identify your true opponents, divide these into two categories- direct and indirect. Direct rivals that present at the same geographical area can provide the same or alternate of your products while indirect ones offer stocks that are not the same but could satisfy the client. Compare your products and service, sales and types of content marketing strategies with your true rivals. Take an objective look at your business, sales, and marketing through the same metrics that you use for your contenders. Record this information and compare it to identify your value in the market. Research has shown that 62% of the organizations use traditional marketing but with the content marketing, you can generate 3 times more leads. There are several factors like target audience(according to education level, location, and age) and your own product or brand that you must consider while selecting the types of content marketing. You can’t rely on one type. That’s why you can use some basic types of content marketing for your business. Blogging: Guest blogging once in a week is highly essential for customer retention and expand your visitors. Infographics: You can convey complex ideas in an easy way through infographics. It works well on large visual platforms like Pinterest for the visual learners. Webinars: For the live tutorials, discussions, and Instructions about a topic, you can use many tools like Google Hangout, Skype, Viber and FaceTime. It is one of the types of content marketing in which you won’t bound to time and place. White Papers: White papers are the best way to show your expertise in the form of graphs and images. Your guests can examine a particular topic in depth. It can solve most of the queries of your clients resulting in a lift in credibility. After setting your goals, you should understand your audience to create successful and engaging contents. Even you are using different types of content marketing, you have to do research like using keyword strategy to think about what topic visitors are interested in. You can use Google Trends and social media audience analysis to get the idea about the demand of existing topic. By typing keyword in the search box, you can check how many searches it receives in a specific time period. You can use these insights to plan a long-term strategy for all types of content marketing and organize your content-production teams more accurately. Through audience personas, you can know each visitor and consumer- basic details about them, their goals and pain points. Many organizations prefer audience personas in different types of content marketing strategies to know about their prospects in a better way. It can help not only guide your social media content strategy but your entire marketing strategy. You can follow some steps to make personas that will bring you closer to your audience. Research your clients: Gather demographic information like gender, education, location and interests. You can use online surveys, emails, social media and customer interviews to gather data. The more data you accumulate, the more accurate your personas will be. Look for trends: Keeping in mind the demographic information, find as many trends as possible and make note of them. Your trends can be according to age ranges and specific genders. Convert these trends info different personas. You can also organize these by labeling as primary, secondary and tertiary. Name the personas: Once your task has done, you can name your personas as career histories, location, job titles so that you can recognize these by identifying the information you might glean from someone during a short conversation. Audience segmentation is the process of dividing a large audience into smaller groups of visitors. Audience segmentation enables programs to match audiences, messages, media, products and services based on the specific needs and preferences of the guests. Segmenting your clients based on their personas and emails can also be helpful. You can use segmentation analysis tools that can be useful for web strategy analysis and user-profile research like SEO tools, web analytics, user surveys, keyword alert and social media tracking. In your functional types of content marketing, audience segmentation pays attention to specific targets, the company can make data-driven decisions that impact productivity and profitability. Secondly, it enables the market expansion, lower risks and enhances the customer reach. Your all types of content marketing will become pointless if you can’t grab the attention of your audience. Enhancing the value of existing content and introducing new one can raise your ROI. Secondly, by sending an email broadcast, engaging with online communities, paying for promotions and connecting with influences you can yield more traffic. Native advertising or sponsored content is not a new term. Many organization uses sponsored emails, tweets, articles and posts for their various types of content marketing. Most often the goal of native advertising is to boost your contents by asking readers to purchase a product before obtaining the valuable content. Once you have created the content, you have to think about the most suitable channel for sharing. You can choose the carrier that fits into your strategy, based on the nature of your data, target audience and suits your budget. Here are the biggest and best content marketing channels that can encourage you to select which medium is most suitable for your active types of content marketing. Social Media Channel including Facebook, Twitter, Instagram, SnapChat, Pinterest, LinkedIn and Tumblr. Audio and visual content marketing like PowToon, PixaBay, Unsplash, Wevideo, Canva, Snappa, PhotoScape, Adobe LightRoom and many more. Online community content marketing tools such as Quora, Reddit, Feedly and LinkedIn Groups. 3 R’s come in the types of content marketing to save your investment on content creation. They put the pop and fizzle back into your articles and make it evergreen. To get the most of your active types of content marketing, you must consider 3 R’s-Reuse, Reimagine and Refresh into your strategies. When you work with different types of content marketing, your evergreen contents support you to answers the core questions and pains of your buyer. It can generate new leads. You can share it on social media and email marketing. You can send the relevant articles to your prospects and buyer without generating the new ones in your types of content marketing strategies. Sometimes, you have great messages to convey to your consumers but needs an eye-catching look. A little formatting focused keyword and the addition of visual effects can refresh your active types of content marketing. To share your refreshed articles, find the suitable spot in your previous posts and publish it there. Your search engine will assume it as a new piece of information and will drive new conversions through your types of content marketing. When you have different types of content marketing, you can generate many articles. Every time you can reimagine these articles from a different perspective according to your new buyer personas, predictions, statistics and technology. Identify the areas in your content that have to be fixed and work on it. 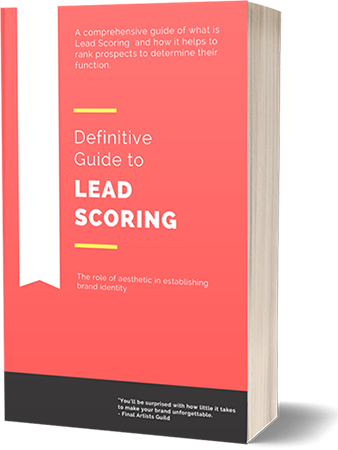 In measuring the results of your functional types of content marketing, you can set your strategy, delivery and discover all possible ways for the conversions. Though there are many metrics to analyze your efforts, here are some basic and vital metrics comprising sub-categories to measure the results of your attempts instantly. User Activities and Demographics including page views, bounce rate, average time on time and geographical area can help you to understand your audience. Social Media and Sharing along with posts shared, followers growth and leave positive comments. Lead Generation comprises Marketing Qualified Leads, MQLs per channel, email open rates, click-through-rate. By measuring these, you can determine the ROI of your marketing efforts. According to research, for every one client that complains, there are 26 other angry consumers that leave your business without any complaint. Due to this, you should consider surveys for your all types of content marketing strategies. Although you can use various methods for feedback, the most effective is the use of the website where they’re most likely to interact with you. Pop-up a customer survey, use the feedback button on your site, ask why they are abandoning your website, use live chat and offer an incentive for the quick feedback. Getting customer feedback aids you to identify and eradicate concerns regarding your employed types of content marketing. Moreover, it helps in the products and services’ development. Hence, you can focus on your resources and the customers’ needs. Regardless, which types of content marketing you are using, testimonials remain a vital tool to establish trust and confidence. Customer success stories build empathy and convince your potential consumers that your service is more than worth their time and money. Address your some buyers, ask them to rate your services and write testimonials for you. Feature these on your website prominently so that visitors can view it. Never ignore your negative feedback too in your existing types of content marketing as it can help you improve your business in the future.